Knife-edge extruded aluminum in whole foot increments up to 12 ft. in one piece. Internal components are die-formed aluminum. Corners are mitered. Continuous wall-mounting bracket with feed access simplifies fixture installation. A mounting rail is installed along the desired wall and housing is then hung on rail, easy installation. 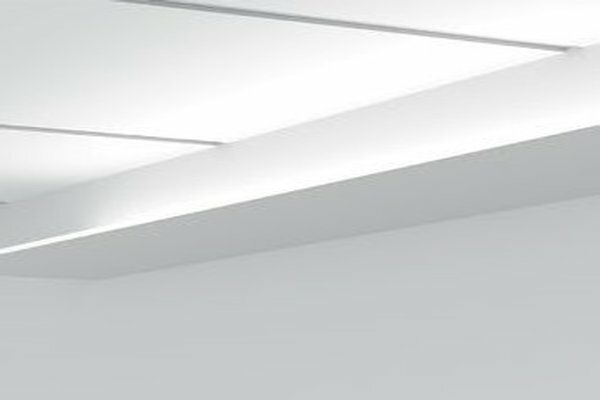 Linear fixture is hung and covered in sheetrock creating a cove. Clear acrylic diffuser is used to protect LED linear strip. 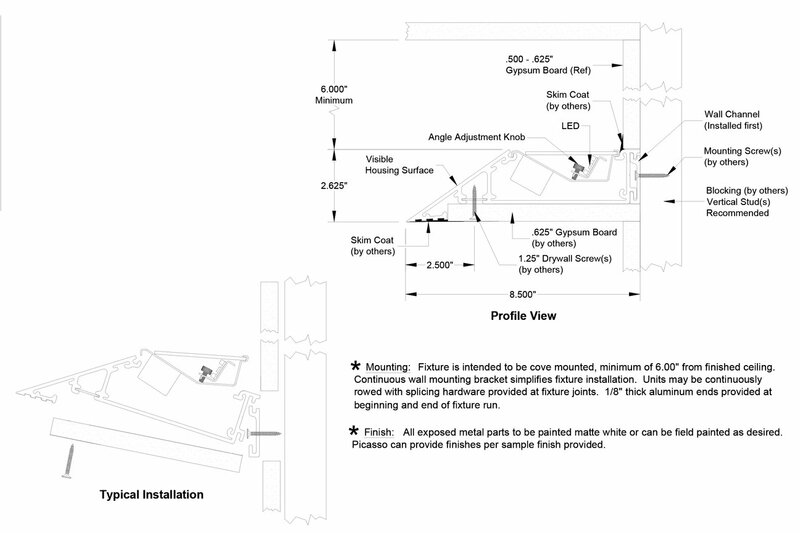 Continuous wall-mounting bracket with feed access simplifies fixture installation. Units may be continuously rowed. Quick-connect hardware provided. Splining hardware provided at fixture joints. Linear fixture is then covered in sheetrock creating a cove.